We all know how karma works. What goes around comes around. 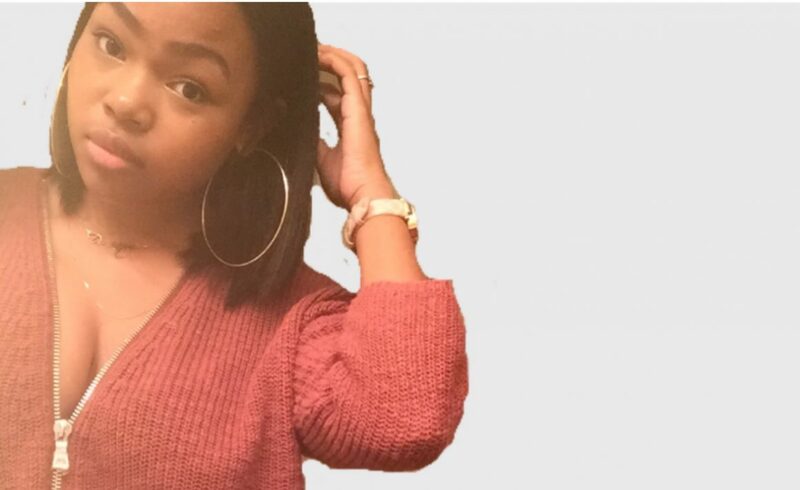 Same rules apply to fashion … and cartoons. How long have the Looney Tunes been around? Bugs and his lovely gang date back to pre-World World II times. They were even used as propaganda tools against the Nazis during the war. One may asks what keeps a show like that coming back. The Flinstones and the Jetsons didn’t have that type of run time. Mickey Mouse, Tom & Jerry and Scooby Doo are the only other shows that have maintained as much appeal throughout multiple generations. Relevance is the key to success. The Looney Tunes have been able to keep our attention by keeping up with the Kardashians so to speak. We’ve seen Bugs & Crew team up with star athletes like Micheal Jordan in Space Jam, Brendan Frazier in Looney Tunes: Back in Action and more recently they appear in a self-titled show on Cartoon Network. With all this screen time, the Looney Tunes have their fair share of merchandise and apparel. 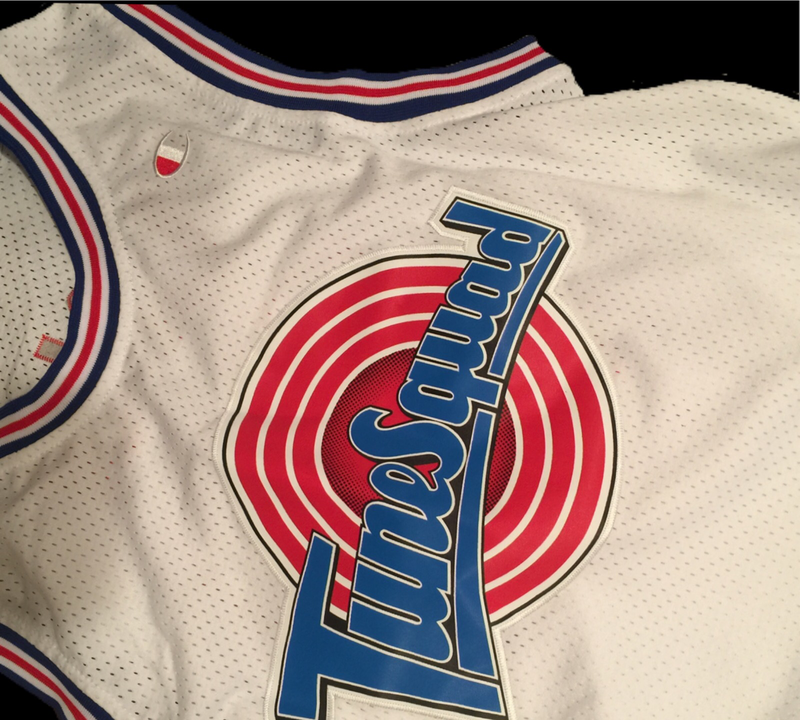 Who didn’t want a Space Jam jersey, especially with the surge of 90’s fashion? If you didn’t I know I did and that’s why I own one. 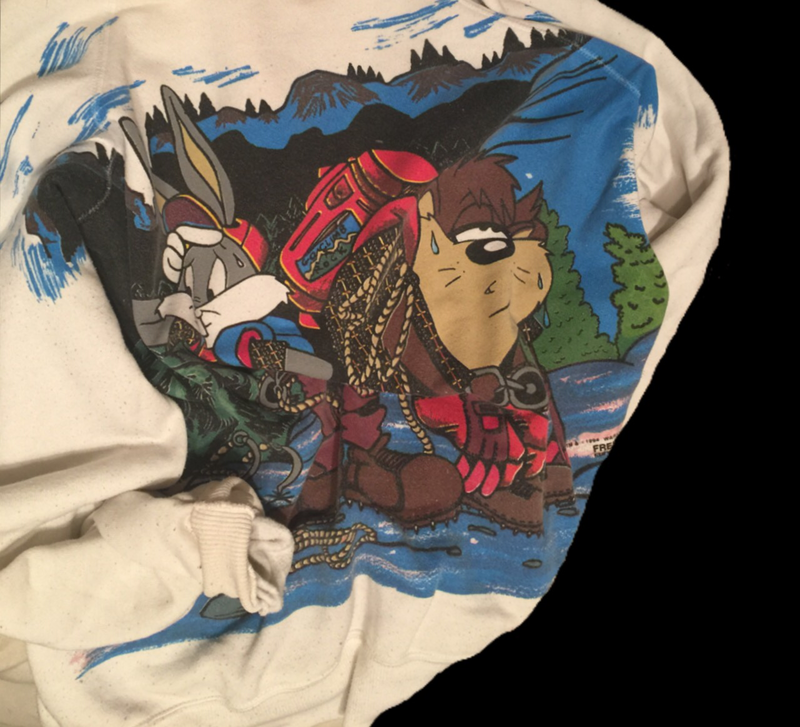 Like many other 90’s kids I’m a sucker for cartoons and cartoons on my tshirts. So I own a few things with Bug’s face on it. And one stolen sweater from my big sister. As far as fashion is concerned, Tweety, Lola, Taz and the rest are making some rather big appearances in our wardrobes. Sidenote: Yesterday was my twin nieces birthday. They turned 15. 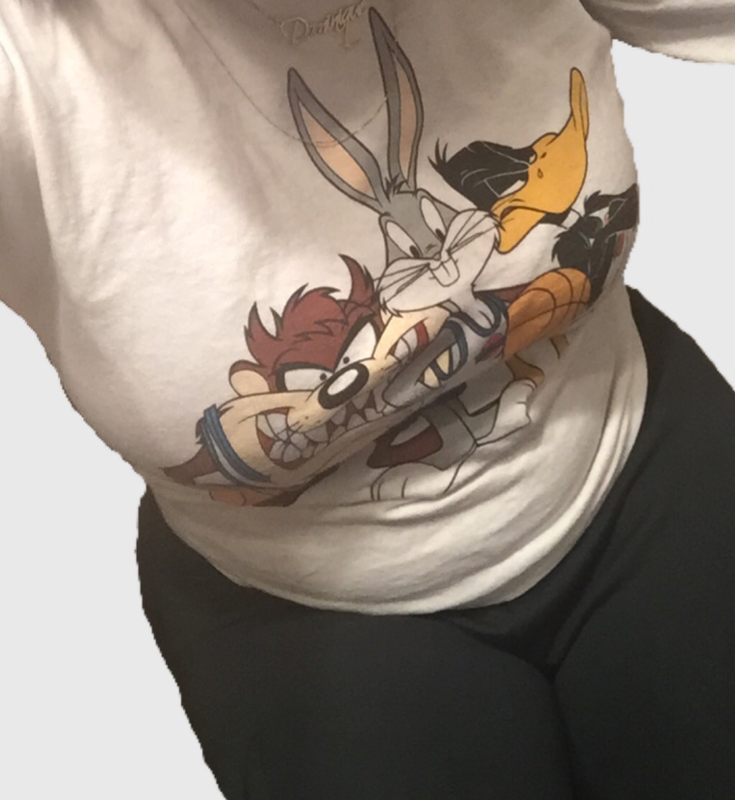 Being the great auntie that I am I was thinking of them while writing this post and I remembered their baby shower theme was Looney Tunes. It was so adorable. I wish I had the pictures. I loved it so much that year for Christmas I asked Santa for Looney Tunes baby accessories for my dolls (I was eight F.Y.I.). My little dolls had a Tweety baby carrier and Bugs Bunny swing. Aww the memories!